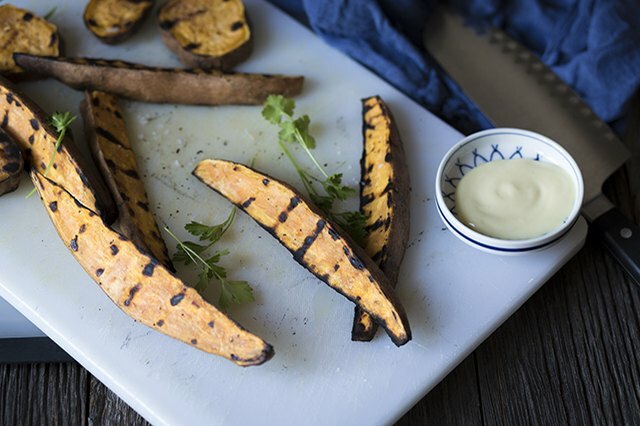 Sweet potato fries are a healthy alternative to regular French fries, which makes them a perfect option for serving next to grilled classics such as hamburgers and hot dogs (and even veggie burgers, for those who avoid meat). They're easy to prepare, and the grill adds a nice char and smokiness that you don't get with other cooking methods. 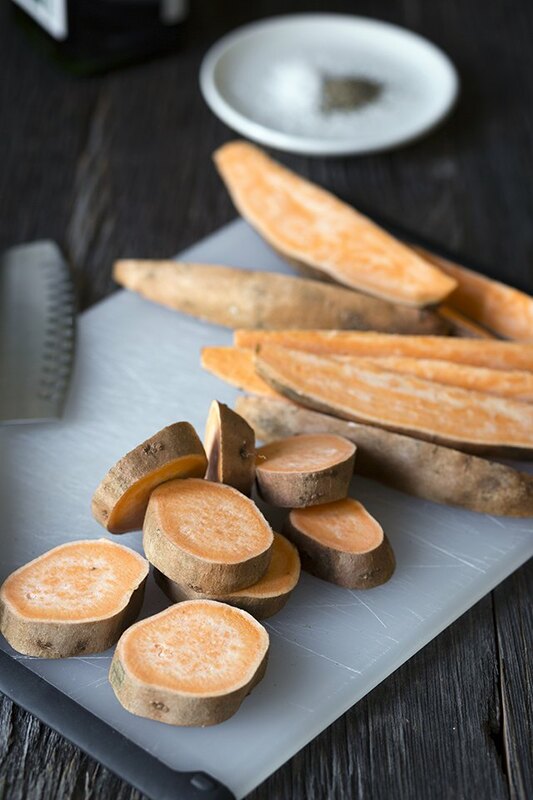 Any type of sweet potato will work, but if you're planning on cutting them into a wedge shape (described in step 2), it's best to use medium-sized sweet potatoes that aren't too abnormally shaped. A typical serving size to keep in mind while gathering ingredients is one medium-sized sweet potato per person. 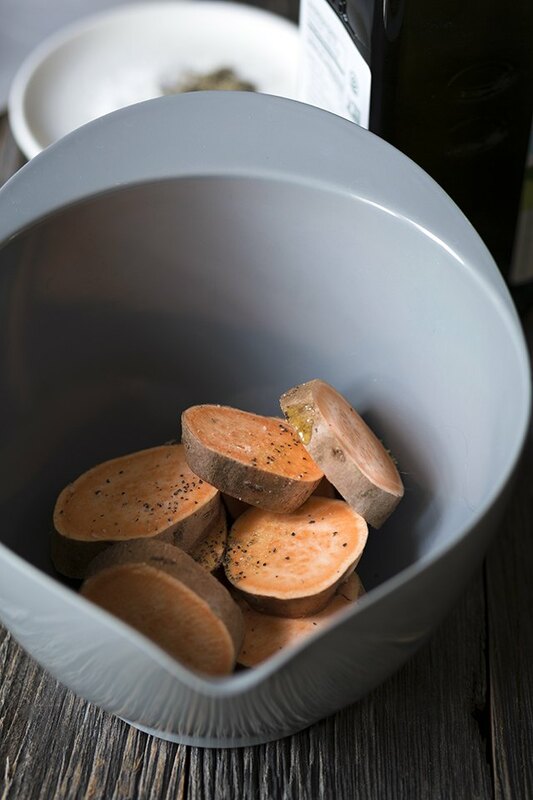 Sweet potatoes do not need to be peeled for grilling, though they should be rinsed and patted dry first. There are two options for cutting: rounds or wedges. It's a personal preference. Keep in mind that the thicker the cut, the longer it will take for the sweet potatoes to cook through. Regardless of which cut you choose, you will want to liberally coat the sweet potatoes with oil to keep them from sticking to the grates. 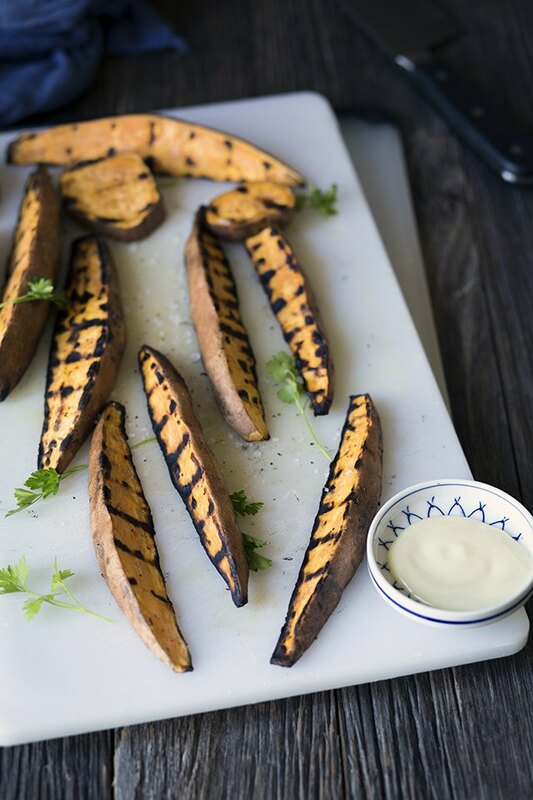 Grill the sweet potatoes, using heat-resistant tongs to turn them over halfway through the cooking process. Depending on the thickness of cut, this can take anywhere from 4 to 6 minutes per side. It's best to test one for doneness before removing the rest. 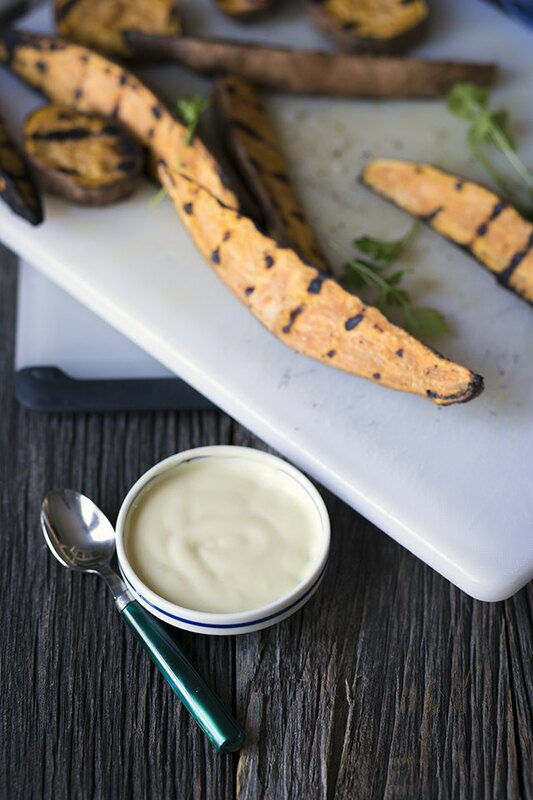 Grilled sweet potatoes are wonderful on their own, but they also pair wonderfully with homemade aioli!